If you buy baby bunnies and you think you are buying two girls, it’s a good idea to check them again when they get a little bigger just to make sure. We didn’t do that and now we have baby bunnies! 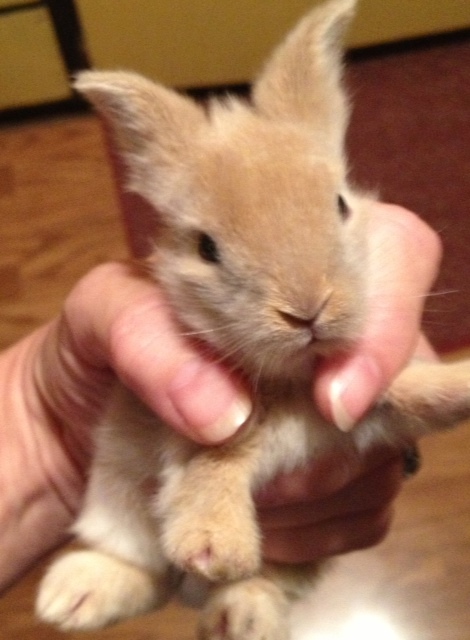 So, obviously one of the bunnies, the one named Nutmeg by my grandson Keagan, turned out to be a boy. Cute, cute, cute! But, what a surprise when my husband found them. There are four of them and everyone is a different color. So, guess we’re in the bunny raising business. These are purebred Lionheads, so they are so cute and easy to sell. Therapy weekend for homesteaders at the Mother Earth News Fair. What are the chances of that? A scenario farm girls will appreciate. Spring is around the corner??? Maybe. Turkey and quail and pigs, oh my!